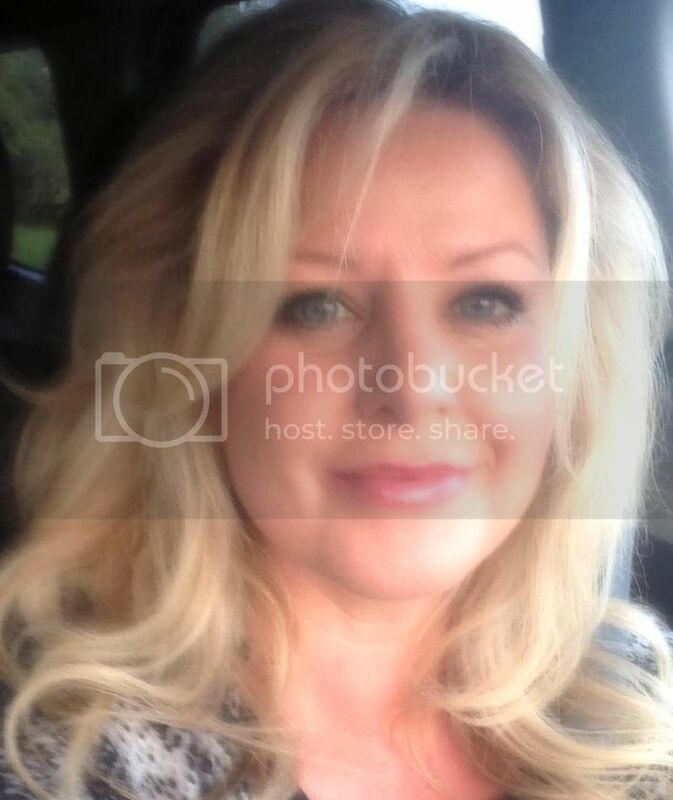 Please join Editor in Chief of www.blinkoncrime.com Christina Stoy LIVE Tonight At 9PM EST On THE DANA PRETZER SHOW. Dana will be interviewing Christina as part II of his Making A Murderer Coverage and discussing recent developments in the case of missing Portland child, Kyron Horman. Live Tonight at 9 PM EST- Join Editor In Chief S. Christina Stoy as Dana Pretzer’s guest on THE DANA PRETZER SHOW where she will be discussing the true crime cases her team has covered in 2013. Also appearing this evening, Investigative Journalist and Daily Beast Columnist Diane Dimond. Click The Show Banner to Listen LIVE from 9-10PM EST. In the first part of blinkoncrime.com’s exclusive interview with DeDe Spicher, she revealed that after over 3 years of attempting to provide Multnomah County Sheriffs Office as well as Assistant Deputy Attorney Norm Frink with the necessary information they requested to clear her from any suspicion in the circumstances surrounding the disappearance of Skyline second grader Kyron Horman; she has finally been cleared after passing a polygraph as part of her requirement under an immunity deal that has been sealed with the court. Unofficially cleared, that is. Spicher and her attorney Chad Stavley, who have since refused all local media requests, would very much like the Multnomah County Sheriff’s Office and current District Attorney Rod Underhill to clear her officially and publicly. Spicher is adamant that law enforcement never had any reason to question her statements to them from the beginning, has cooperated fully for over three years and recently testified before the grand jury to prove she had nothing to hide. While she would like the public to know that any assertions to the contrary are untrue, and sometimes have been offered maliciously, her desire to speak out about her experience over the last three years is primarily to force investigative resources to review it’s progress- and hopefully adjust in a way to further leads in Kyron’s case. As was proven not only by her recent polygraph, but also by the verification that no evidence ever existed to support investigator’s theory in the first place, Spicher had no information about anyone’s potential involvement in Kyron’s disappearance, let alone her own. 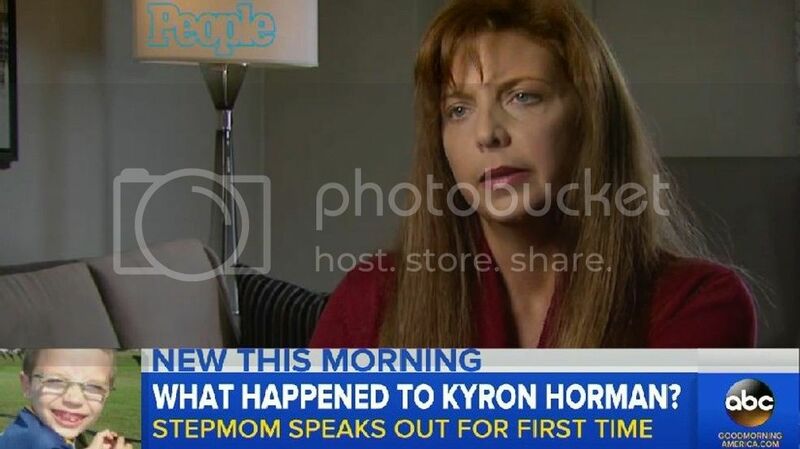 The continuation of our interview, which provoked some very interesting revelations long felt to be a possibility by many, was confirmed by Ms. Spicher as she says- told to her by Terri Moulton Horman are prompting new possible theories in the circumstances surrounding the disappearance of Kyron Horman. Two days after Kyron Horman’s eleventh birthday. Stoy: So, in your estimation then, why do you think that detectives Herron and Kravfe were so sure that you were involved or knew who was. Stoy (interrupting): You bought a prepaid phone after June 28th and never had one before that? I had read that you or someone else purchased them the day of or the day after Kyron’s disappearance. Spicher: No. I purchased one prepaid phone, after Terri shared the info from her meeting, in my own name, either June 29th or 30th. I think they were hung up on the fact that I came to her aid with no contact for so long so they just were convinced there had to be. Stoy: ok, sorry, continue. So you are not saying that LE was suggesting that you were hiding some other number you had and that was how they were alleging that you HAD to have been in contact with Terri or some other person prior to and on June 4th and that escalated your “poi” status in your opinion? 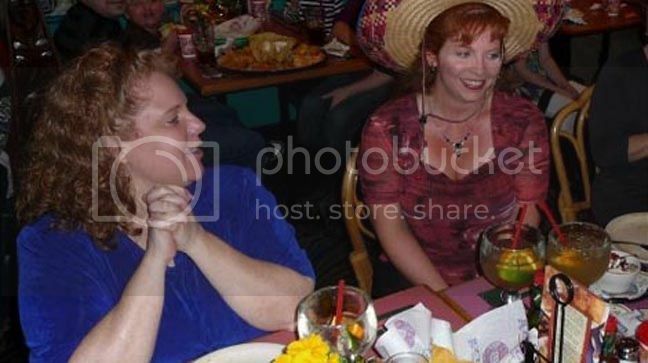 Spicher: They did not say that to me specifically, but what they repeated over and over again, was that Terri and I had to have had some form of communication we were hiding. It never made any sense to me because I knew I only had my cell that I had forever until the end of June, and I knew I had not been in contact with Terri since her 40th birthday party in March. So I would ask- well then I guess that means that you don’t have any contacts you can’t verify from either of us so why am I even in this “interview”? To my recollection they never shared with me or answered any of my questions in response when something they kept hounding me about seemed absurd and conflicting with their theory. Spicher: At first, I think that they really believed I was involved, and at some point I think they were talking more “accessory after the fact” because I got the impression ( although they did not share it with me) that Terri’s cell phone activity that day was nowhere near where I was, and my vehicle never left, nor did I. They would not verify that they located the ceramics/glassware artist [pottery artisan] I told you about and still have not. Stoy: So in your opinion, you were clearly the linchpin of this case, they [LE] believed you held the key to solving it and/or implicating Terri exclusively at that point, they no longer entertained your involvement per se? Spicher: I honestly don’t think I could say that I ever believed that they stopped treating me as some sort of suspect. I never felt that way, but yes, absolutely they 100% believe that Terri is responsible and I definitely believed we all had to be interviewed and scrutinized or whatever, but I really thought up until the meeting with Norm Frink that they [LE] would abandon that theory quickly because if they were positive I was the key, and I knew I was not, that would also eliminate Terri, who I did not and do not believe, but have no proof, was involved or knew anything. Stoy: Right, so if you had nothing, and they felt you were the only nexus, it had to mean that they had no independent evidence of anything or anyone else so they would start in another direction? Spicher: Right, but every interaction I had with them following and including the request to participate in the sting against her, made me believe they never did. To get back to the why question you asked me- my final thought on that is that they kept pointing out that I was the person to tell everyone not to speak to them without attorneys in the beginning. I would ask like who do you mean, because that would have been my opinion across the board for any situation, but it was definitely based on what was getting out about how they were going about this. I was scared and it turned out it was good reason. I also would point out to them that I did not think that was or should be the basis for suspicion because if it was, it seemed to me that I was told that several staff members at Skyline had hired counsel, and Kaine was the FIRST to have one between he and Terri and I had told her at least a week or so before that she should. Stoy: Why do you think she did not immediately take your friendly advice? Your Dad was LE, and I presume she knew that. People can say what they want, but I know many members of law enforcement in different jurisdictions and agencies. I have worked with them or contributed analysis to cases with them privately [I cannot and would not ever include that in anything I choose to write on] and I can tell you that I do not know one of them that if they were the focus of a criminal probe or internal investigation they absolutely do not agree to an interview without a representative. 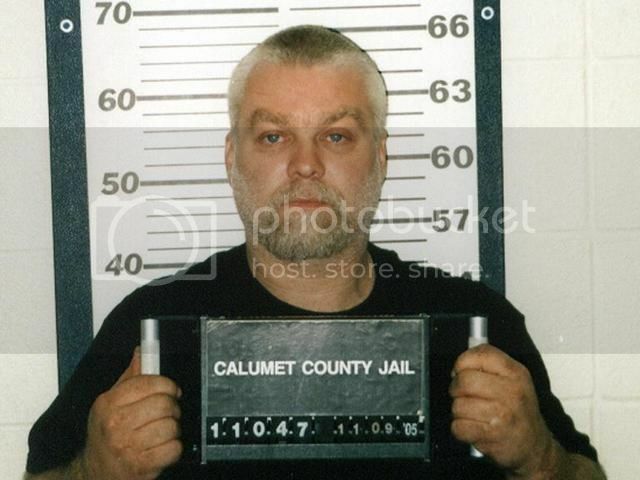 In fact, Herron is or was the President of Mulnomah County Police Union or was, if I recall correctly. So to that end, I find that a pretty hypocritical reason for suspicion of anyone. Spicher: (laughs) Interesting. I am not sure that I knew that. The reason Terri didn’t get an atty before the RO was because she was told by LE that if she did, she wouldn’t be privvy to any of their investigative discoveries, she would be out of the loop in finding Kyron. Stoy: Have you had a desire or opportunity to review any sort of past events regarding the MCSO, I guess I should add, that involve anyone in this case or investigation you have had contact with? Spicher: No, do you mean like any other detectives or that sort of thing? Stoy: Have you ever met with or been interviewed with any other agencies or detectives? Spicher: I believe I either met or just said hello to the guy you mentioned in that recent article of yours while he was at the house. Both Kaine and Terri were there at the time as well. Spicher: That’s it, yes, him. Why did you ask me if I am aware of any sort of events- should I be? Stoy: Well, I think that tangentially if I were you I would be considering just about everything as it related to what you have been through, and I am aware of some what I will refer to as “stuff” but what I don’t want to do prior to the completion of our interview process is temper any of your responses with anything I know peripherally if that’s ok with you. If you wish, once I publish the continuation which will have that sort of information, I would invite you to comment on it for the record if you choose- are you ok with that? Spicher: yes, that’s fine and probably a good idea. Stoy: back briefly to the “sting request against Terri- On that issue- the request they extended to you outside the presence of your attorney and that they asked you not to tell Chad, as you think back , considering you have had no communication with Horman for over three years did you believe they thought it would work? What did your attorney say when you told him? Spicher: I can’t and won’t address any conversations I have had with my attorney, but to answer your question as to my opinion, I really don’t know for sure, I knew that I did not, and thought it was really, really odd- that was my first reaction. After more thought, and other conversations, I don’t see how they thought it would work, or why they were still seemingly convinced after I had just passed the poly, etc, Terri was still their suspect and responsible. What is your opinion on it? Stoy: I think I may reserve my thoughts on that for my piece. Again, not wanting to temper your opinions as we move along here and I think that could happen if I did. Is that ok with you?